The reported overdose of pop singer Demi Lovato in July 2018 brought the opioid crisis in America back into the spotlight. According to the Center for Disease Control, there were 66,632 total drug overdose deaths in the United States in 2016 and 42,249 deaths linked to opioids. A major part of the effort to address the increasing crisis focuses on alternative treatments. With chronic pain in particular, the risks of opioids are tremendous, including abdominal distention, liver damage, and hypoxia in long-term users. One alternative pain treatment has been around for millennia: acupuncture. An ancient Ayurvedic Chinese medicine, acupuncture has been embraced by Western culture in recent years. Research shows acupuncture to be especially effective in treating headaches, back and neck pain, and pain from osteoarthritis. Healthline reported several promising initiatives that have successfully reduced the use of opioids in pain management. States looking to cut opioid prescriptions have been experimenting with extending Medicaid coverage for acupuncture as another option for pain treatment. Rhode Island, Oregon, and Ohio all have programs that extend coverage in part. When Vermont commissioned a small pilot study on acupuncture for chronic pain in its Medicaid population, it concluded that 32 percent of people taking opioids for pain cut back. They were eligible for up to 12 treatments over two months. The U.S. Department of Veterans Affairs has trained more than 2,800 providers of “battlefield acupuncture,” a protocol that involves the ear to relieve pain. According to Charles Levy, a doctor at the Gainesville VA center in Florida, the protocol has helped with headaches, acute and chronic back and musculoskeletal pain, and neuropathic pain. This is great news, since making acupuncture more available and affordable is an important step in addressing the opioid crisis. 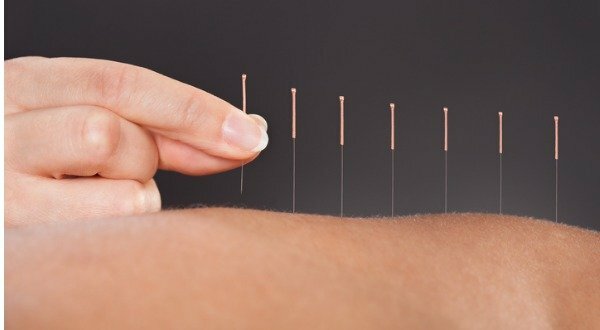 Beyond serving as a viable substitute for hard drugs, acupuncture has also been shown to help people with nerve damage, tame nausea, promote weight loss, and effectively treat tinnitus. If you’re dealing with chronic pain, headaches, or other problems, consider acupuncture before swallowing that next pill. Your body will thank you. Discover more about the benefits of acupuncture here. Acupuncture for chronic nonpulsatile tinnitus: A randomized clinical trial. Thank you for all you do. I suffer from chronic pain and as a believer of Jesus Christ and a Son of God, I really believe that the option of acupuncture is not on my agenda. Acupuncture is a gateway for the enemy to come and steal from you. This opens up to the demonic. I also refuse Tia Chia and anything that can open me up to the demonic. If you have listened to Lester Sumrall on this you will know what can happen. Even if someone is hypnotized. I know that medicine is bad for you, but it would be good to find out if there are any herbs that can be infused as a drink to help those in need. IE. Thyme. (Not sure if this works or not but maybe you can check it out and see). Acupuncture is excellent. But when you are dealing with the pain of cancer, especially when tumours are pressing on nerves or if the cancer is in the bones, a needle here and there just doesn’t cut it. Once upon a time I’d not take so much as as aspirin; now i can’t cope without opiates. Angela, I am in a similar position. I am unable to get on my feet at all without opiates & scared I am only hurting myself more. Have you tried & gotten any relief from other therapies including acupuncture? There is a book that everyone must read. “New Zealand’s Greatest Doctor of Wanganui – A Surgeon who became a Naturopath. Ulric Williams.” A truely amazing account of one mans life as a Doctor and what we can do to heal ourselves of even the most dreadful diseases. It is available on a Kindle from Amazon. Don’t miss this is is truely great.